Two Howe adults face drug charges after a traffic stop early Thursday, Indiana State Police said today. About 1:40 a.m. a trooper saw a car speeding south on Indiana 9, just south of the Indiana Toll Road, state police at Fort Wayne said in a statement. A computer check showed the license plate was registered to a different vehicle, the statement said. 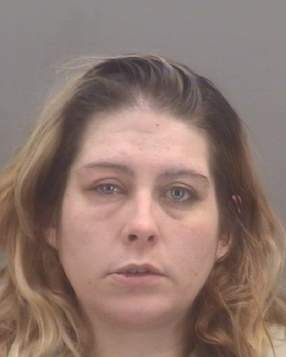 The driver, Stephanie M. Wagler, 37, was charged with possession of methamphetamine and three misdemeanors. Her passenger, Marty C. O'Brien, 32, was charged with possession of methamphetamine, possession of a syringe and four misdemeanors. Both were being held at the LaGrange County Jail on $10,000 bond each. State police were assisted by the county sheriff's department and LaGrange police.